Synopsis: A popular college student graciously accepts a social outcast’s online friend request, but soon finds herself fighting a demonic presence that wants to make her lonely by killing her closest friends. Let’s face it, most of us live online these days, especially those under 30. Between online dating and online classes, people find themselves either at the computer or on their cell phones. People are judged by the number of friends they have on social media or the number of likes they have on a post. Some people pay good money to acquire followers and/or garner even more interest in their online musings. And now we come to the crux of this movie. A popular college student receives a friend request from a girl who doesn’t have any friends. Feeling sorry for her, she “friends” her. The relationship then degenerated into a sort of stalker/stalkee symbiosis, with the popular college student trying to get away from the cloying, smothering of her new “friend”. After cutting off the friendship, the girl commits suicide and posts the video on the popular girl’s social media page. This leads to her losing online friends and then DUN DUN DUN, she begins losing friends in real life….TO MURDER MOST FOUL. Anyhoo, the rest of the movie invovles her tracking down and trying to eliminate the girl’s ghost, who is apparently causing all the trouble. Will she succeed? You’ll have to watch the movie to find out. 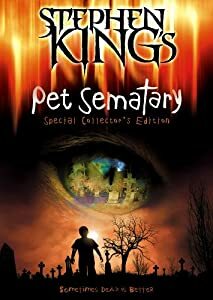 All in all, it wasn’t the best horror movie I’ve seen, but I thought the premise was interesting. It is well-acted and well-shot with some disturbing imagery, but I must say the movie does contain an almost paint by the numbers list of horror cliches, including jump scares with stinger chords. Despite these flaws, it’s moderately intriguing and is a good movie to have on in the background. 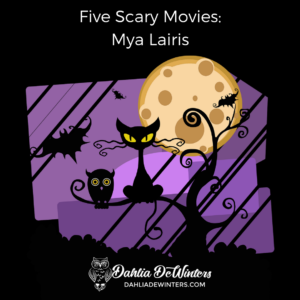 As a fun part of Blogtoberfest, I asked my artist friends to send me their top five scary movies or top five scary books. The results were varied and interesting. Lori Titus is a Californian with a craving for all things dark and scary. She sleeps most days and powers through her nights with the help of caffeine and waking dreams. When not working on or plotting out her novels, she is a voracious reader and pet lover. 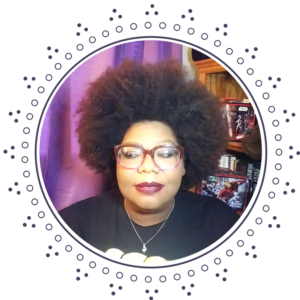 Catch up with her latest work on her blog, The Darkest of Lore (loribeth215@wordpress.com) catch her on Facebook, or follow her on Twitter or Instagram as Loribeth215. Her latest novel, The Art of Shadows, will be released in November 2016. Want in on this? Send me your bio, your site and your top five scary movies or top five scary books!